Give your bathroom decor a sophisticated touch with the gracefully curved lines of the Fleurco Banyo Siena Bifold Pivot Tub Shield. Its minimalist profile features one 1/4 inch thick glass door panel with 90-degree outward and 70-degree inward opening facility. 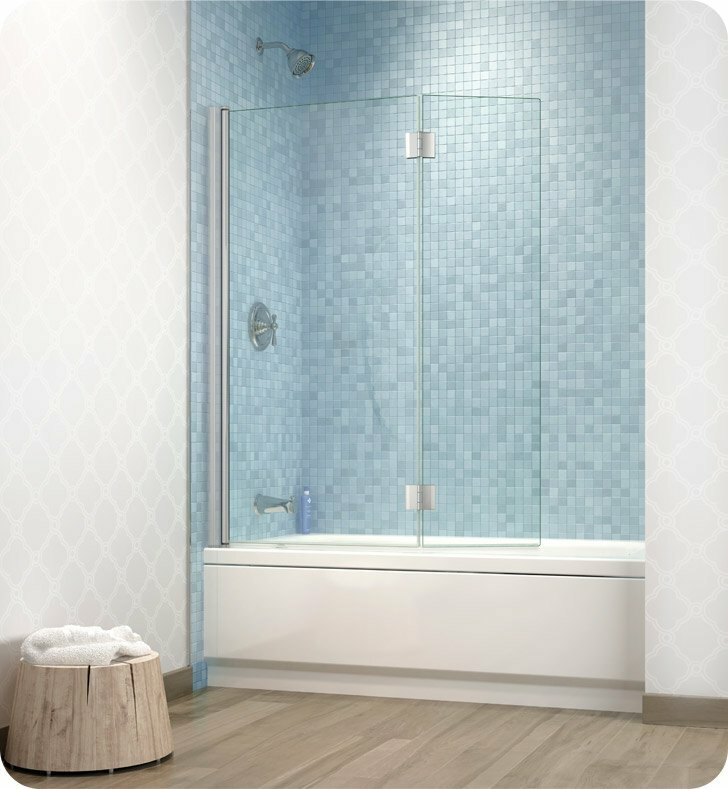 The frameless rectangular design, made of clear tempered glass, makes the bathroom space look airy and luminous. All non-glass components are coated with a finish of your choice – bright chrome or brushed nickel. 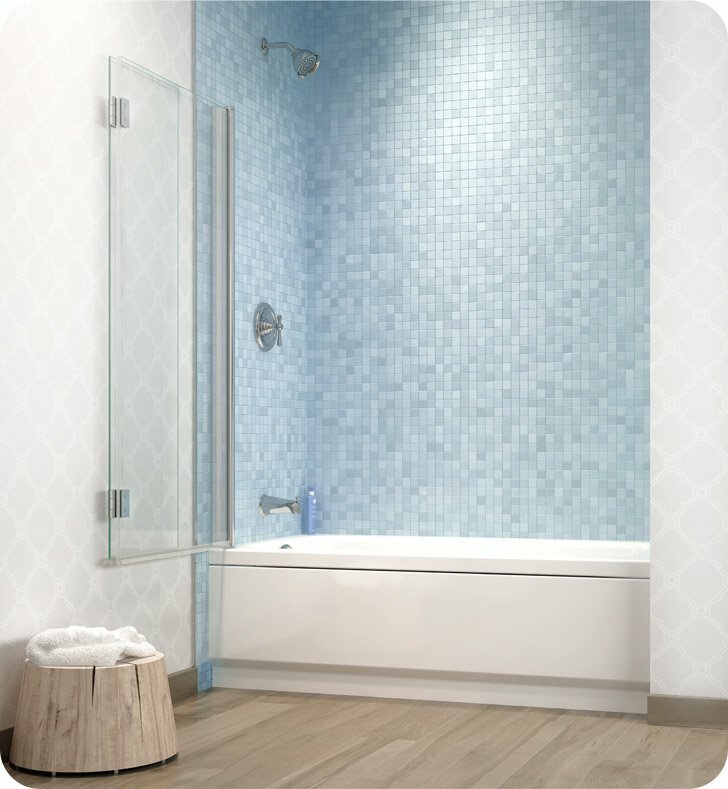 Its cleverly designed features like European water deflection system and Bifold glass panels make this contemporary tub shield a handy and long-lasting device. Pros: Love the frameless style. We bought this because the door swings open. Most of the styles we found that the glass was fixed and was only available in chrome. Cons: Unfortunately this was more pricey than others we looked at. Most likely due to the "free" shipping.